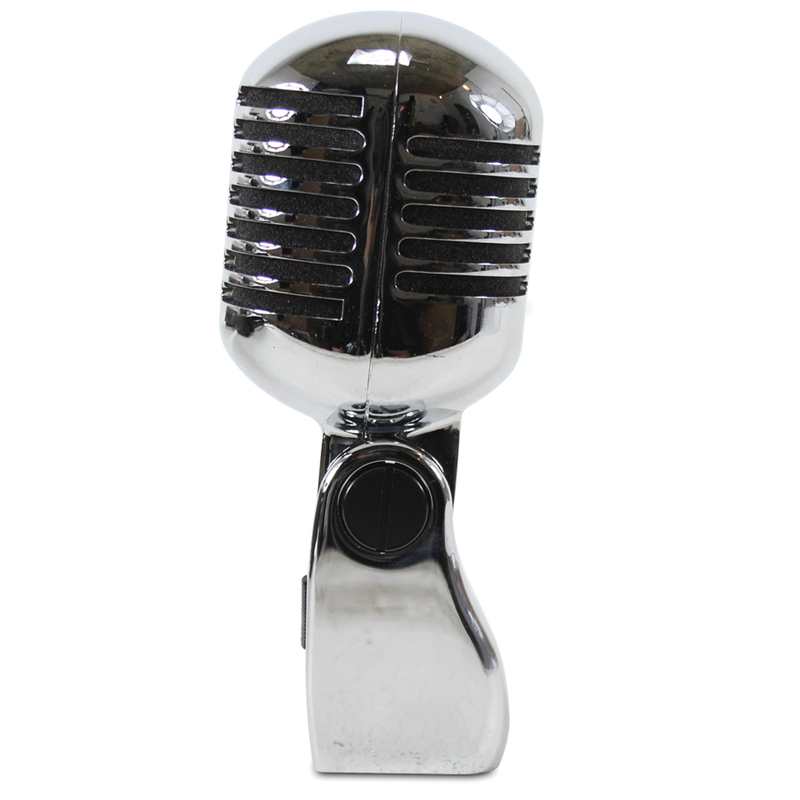 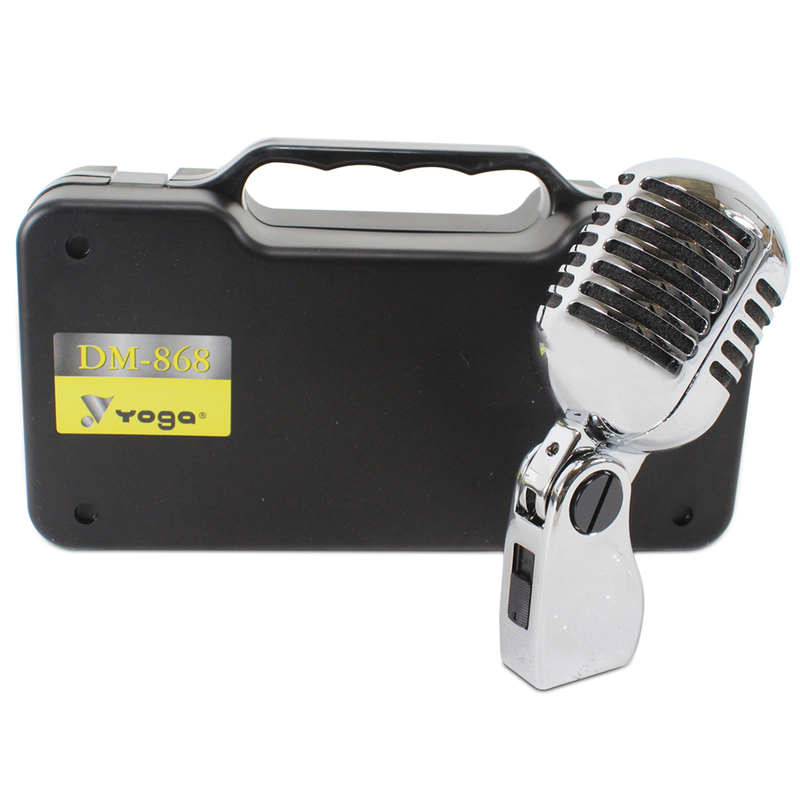 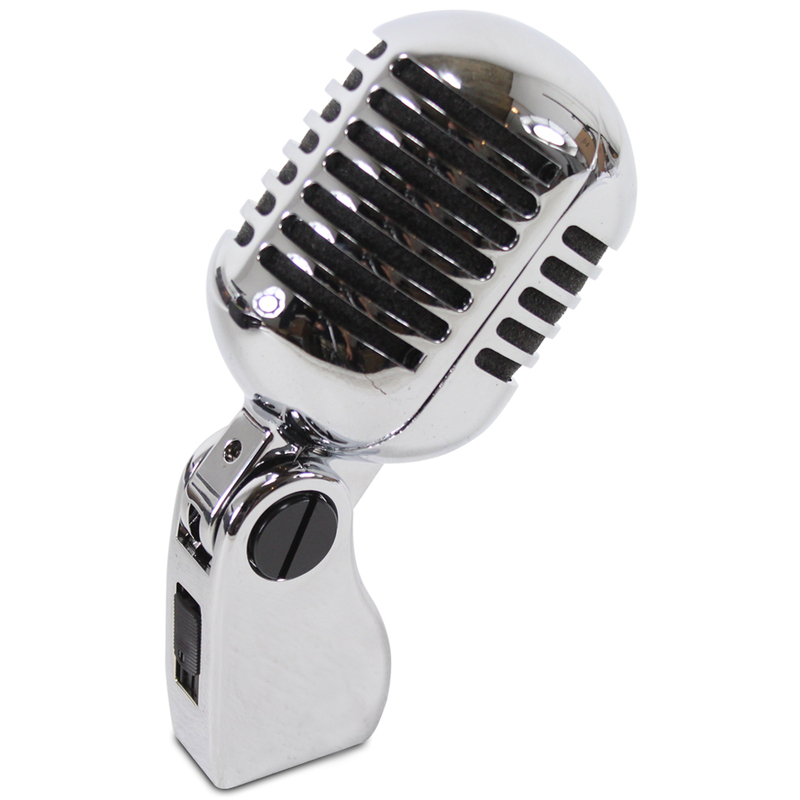 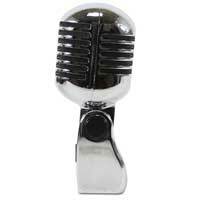 Bring on the show with the DM-868 chrome finish retro microphone, giving you a blast from the past and adding flavour to your parties, shows and karaoke events. 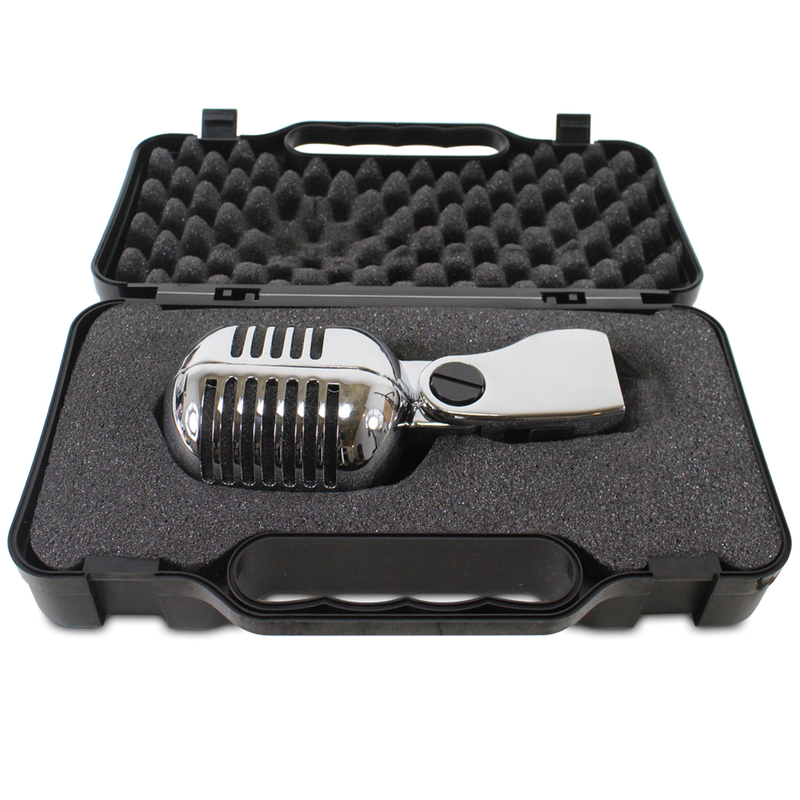 With durable die case zinc casing, cardoid pick up pattern and adjustable body angle; vocalists can add character to their vocal performance by looking and feeling as though they have jumped right into the 50s and 60s. 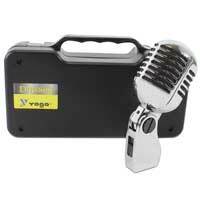 The sleek, chrome body of this microphone looks the part but has also been designed to pick up your voice with minimal distortion or feedback. 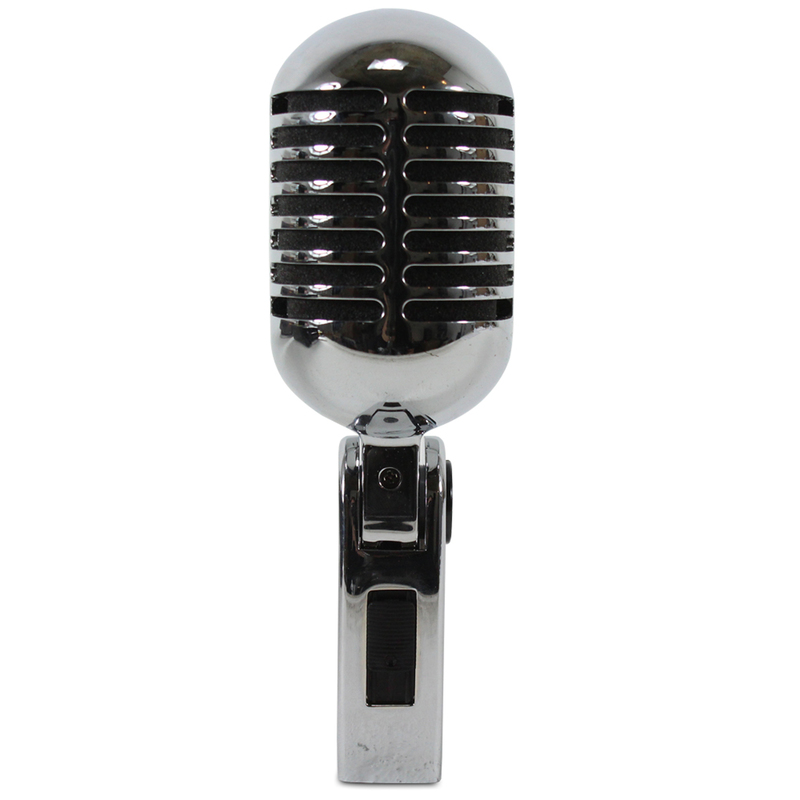 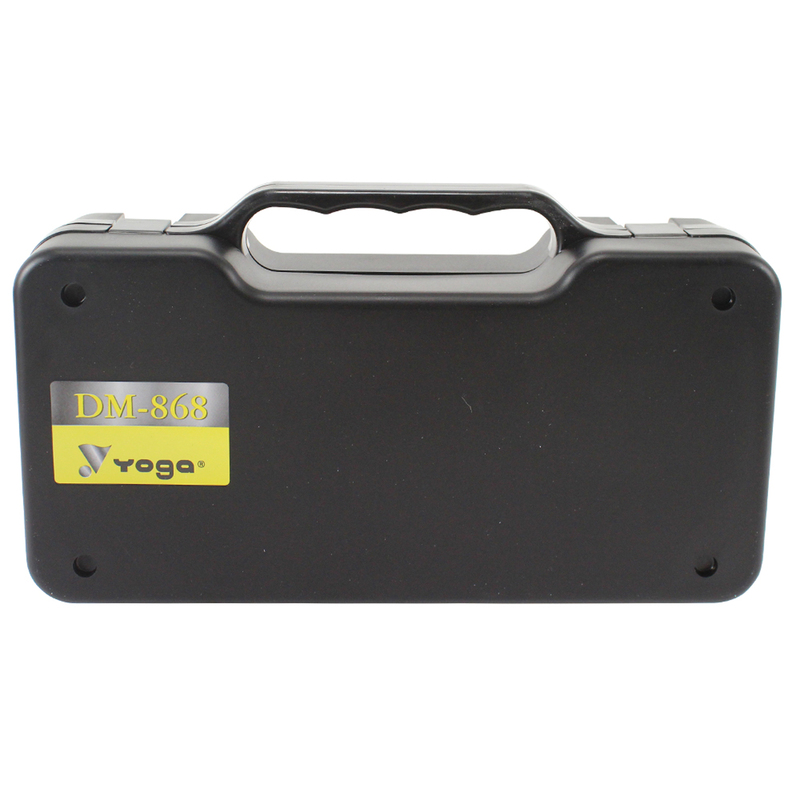 With an internal shock mount, this minimises the rumble caused by microphone handling or stand vibration during performance; meaning your voice is punchy, clear and precise.